The Johnny Reb statue is being removed from Lake Eola Park in downtown Orlando after public outcry. 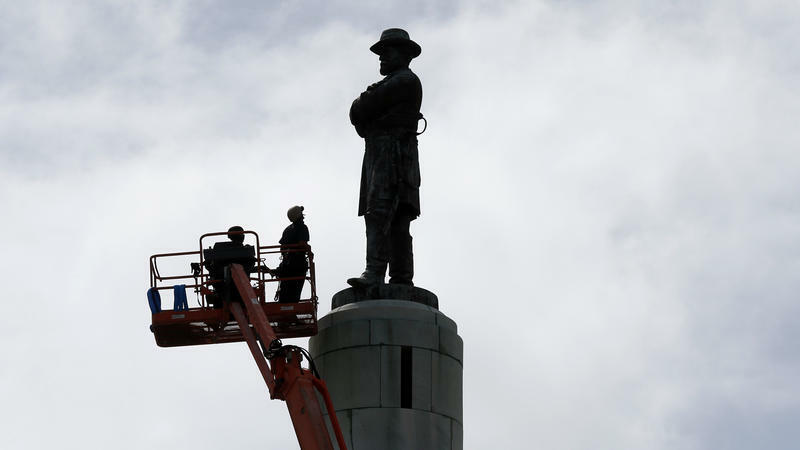 City workers on Tuesday started moving a Confederate statue called "Johnny Reb" from a park in the heart of downtown Orlando to a nearby cemetery, following renewed public outcry that it is a symbol of racism and white supremacy. The city workers started taking apart the statue, which has been in Orlando since 1911. Unlike other cities where Confederate statues have been removed, there were no protesters at the site Tuesday morning. Police squad cars had closed off access to streets leading to the statue. Once the monument is disassembled, a new base will be built for it. It will be reassembled and re-erected in a Confederate veterans section of a municipal cemetery not far from where it had stood in Lake Eola Park, city spokeswoman Cassandra Lafser said in a statement. The whole process will likely take six weeks. Orlando Mayor Buddy Dyer has estimated the cost at $120,000. City officials are working with historians on an inscription for the statue that will put the monument "in proper historical perspective," Lafser said. There will most likely be a plaque or marker near the statue, but Lafser said specifics haven't been determined. The statue has been in Orlando since 1911, and it has been at the park in the heart of downtown Orlando since 1917. A time capsule was discovered inside the old base, but it's not clear when it was put there or what's inside it. The box will be stored safely and opened sometime in the future, Lafser said. Other cities in Florida, as well as the nation, have been faced with questions about what to do with Confederate statues in public places. City officials in St. Augustine told local media that they're paying close attention to the national debate because they have two Confederate statues in a plaza near two civil rights statues. Last fall, Gainesville residents debated whether to move "Old Joe," a 112-year-old statue of a Confederate soldier next to a county government building. Officials eventually decided it would cost too much to move it. 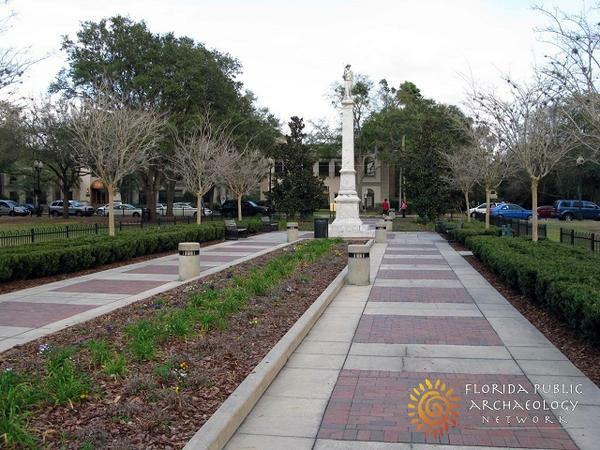 On Wednesday, the Hillsborough County Commission is scheduled to discuss the removal of a Confederate memorial that sits in front of the county's courthouse. 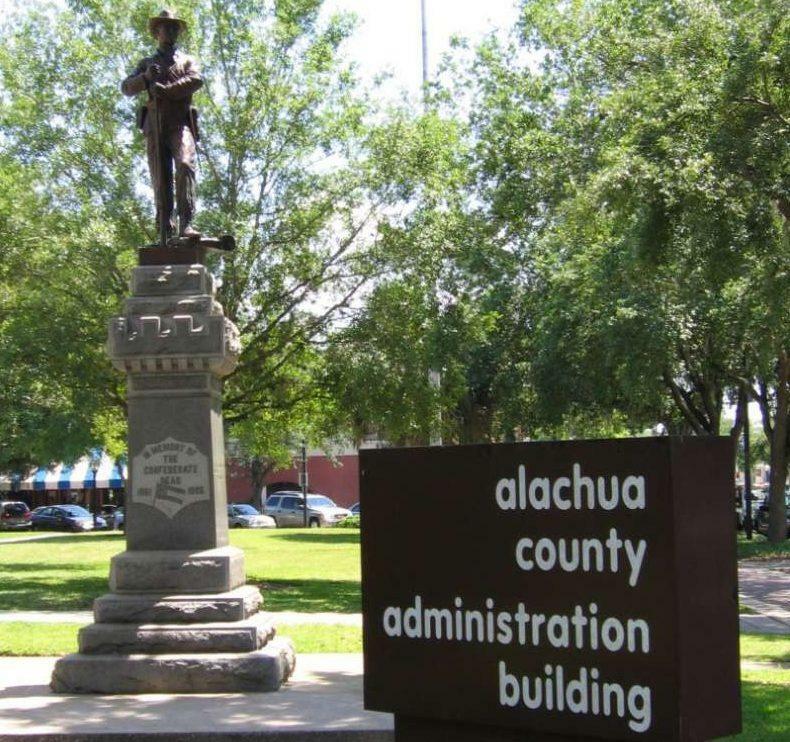 A confederate statue in Gainesville could be removed from its location in front of the Alachua County administration building. 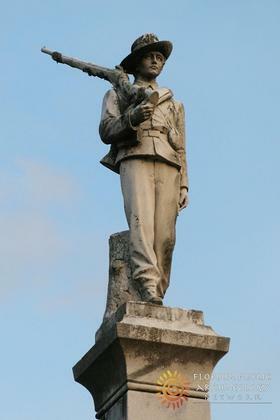 Commissioners could make a decision on the fate of the statue at a meeting tomorrow.